1) 3 medium size mackerel fish (you can use any fish, that does not have much bones), boiled with 1/4tsp of salt, turmeric and water. 3) ¼ cup coriander leaves finely chopped. 8) 2 slice of bread slice, powdered in a mixer with dry/ fresh mixed herbs of your choice. 9) Oil to fry (you may deep fry or shallow fry them. 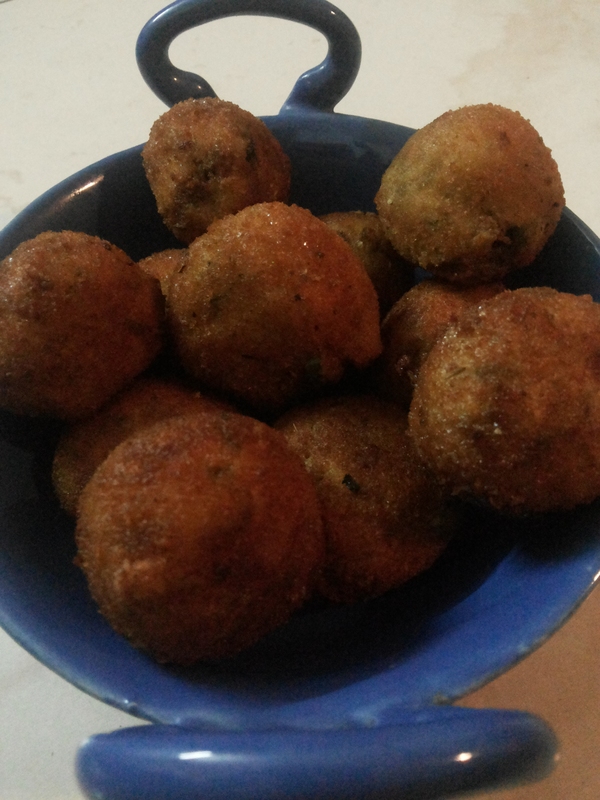 If you want to shallow, fry them, flat the balls into cutlet shape. Boil the fish, de-done and crumble them with you hands to small pieces. 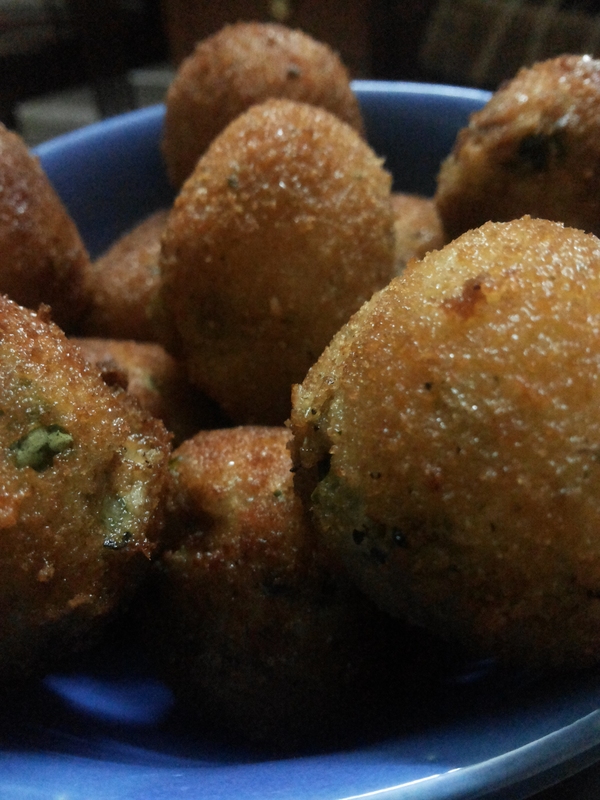 Mix in the fish, green chilies, cheese, and coriander leaves and make them into balls. Mix the cream/ milk to the egg (optional) and beat it. Coat the fish balls with dry corn flour, next with the beaten egg and finally with the herbed breadcrumbs. Take oil in a pan/pot and either deep fry or shallow fry them. I had my fish balls with pita bread, you can just eat them as a snack too.